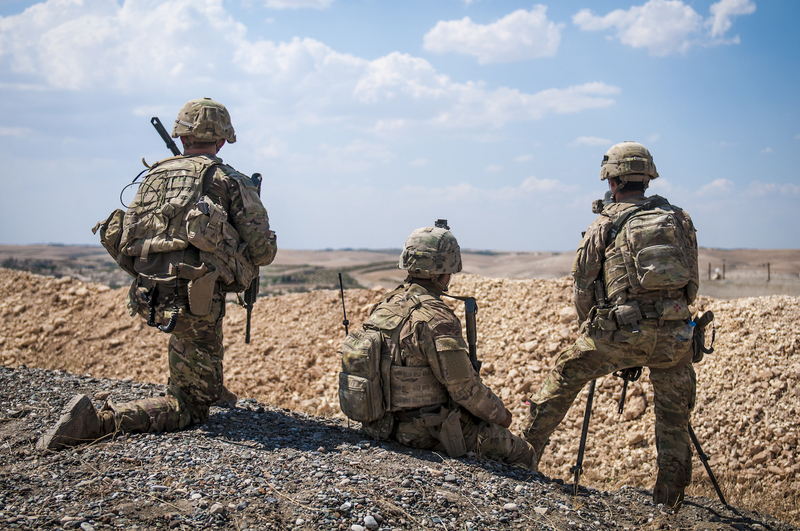 Iranian proxies in Iraq are increasingly threatening and provoking American troops in Iraq and Syria, according to an assessment of U.S. operations against the Islamic State (ISIS) published by the Pentagon’s office of the inspector general (OIG) this week. The report, issued by the Lead Inspector General for Operation Inherent Resolve (OIR), comes as Iran intensifies its rhetoric against the United States in the wake of new crippling U.S sanctions. Several Iranian-backed militias also operate in the area, and their presence creates the potential for violence with U.S. troops and U.S.-backed forces. While the DoD [U.S Department of Defense] maintains that the purpose of the troop deployment at the garrison is to fight ISIS, it reiterated to the DoD OIG that the presence of the U.S. forces has the “ancillary benefit” of restricting Iranian freedom of movement and deters Iranian activities in the area. In Iraq, the threat against U.S. troops posed by Iranian proxies has intensified, the IG determined, noting that Tehran deployed between “100 to 150 Islamic Revolutionary Guards Corps— Quds Forces (IRGC-Quds Force) and Iranian Ministry of Intelligence personnel” to Iraq in support of Tehran-allied Shiite militias during the quarter (July 1 thru September 30) covered by the report alone. The inspector general acknowledged that Iranian proxies “likely” carried out two recent attacks against U.S. targets: mortars that landed near the U.S. Embassy in Baghdad and rocket attacks fired at the Basrah Airport near the U.S. Consulate General. Trump administration officials condemned Iran for the attacks, warning that Tehran would be held responsible for attacks by its proxies targeting American troops and facilities. The Pentagon IG noted that the Trump administration has expanded its Syria mission to include the removal of Iran and Iranian proxies. The DoD also reported that Iran has continued to provide significant support to armed groups in Iraq, including missiles and rockets that are transported through border crossing points. Other support included combat intelligence training, munitions, and Iranian military grade hardware such as drone surveillance operations. Iranian-backed groups have also engaged in running illegal checkpoints, smuggling, drug, and oil trafficking, bribery, and extortion, with uncontrolled Iranian proxy activity in Basrah and Anbar provinces serving as examples for the lawlessness of proxy groups inside Iraq. U.S. authorities have determined that Iran’s terrorist proxy Hezbollah, known to operate in Iraq, is heavily involved in money laundering and drug trafficking. The group uses the lucrative profits from the illicit activities to fund its terrorist operations. The head of Iran’s powerful IRG reportedly cautioned America that it imposed sanctions at its own peril.